Scheduling an author visit at your school or library is a great way to get your students excited about reading and writing. Sneak Peek: School visit in Maine. When Clare joined us for a discussion of Moon over Manifest, she engaged each young reader individually, by responding to their questions and working their ideas into the remarkably vibrant conversation she generated. After our conversation with Clare, it was clear that this meeting truly activated our readers’ imaginations and made them more curious about history and writing. 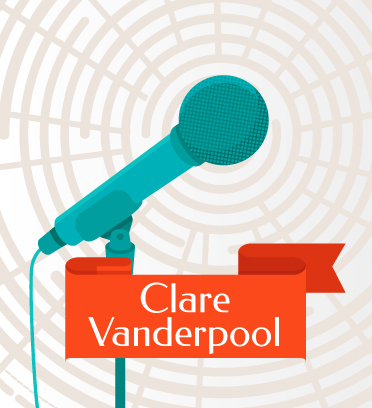 When Clare Vanderpool comes to speak at our school, it’s not just the students who want to attend her presentations on writing, it’s the faculty as well. Without a doubt, she is our favorite speaker! Clare Vanderpool had a wonderful connection with my students. It was easy to see through her positive, upbeat personality that she enjoyed telling them about her writing and answering their many questions. Clare Vanderpool’s delightful workshops have quickly become the highlight of the year for my English students! Her insights and candor make her presentations special!